For the long three day weekend on Veteran’s Day, Katie and I decided to head to Moab, Utah to photograph some of the beautiful landscapes of Arches and Canyonlands National Parks. In what has become a little bit of a tradition for us, this is our third year in a row going to Moab at about this time of year. Moab is such an amazing and unique place with endless photo opportunities. The rock formations and canyon views are some of the best in the whole world. 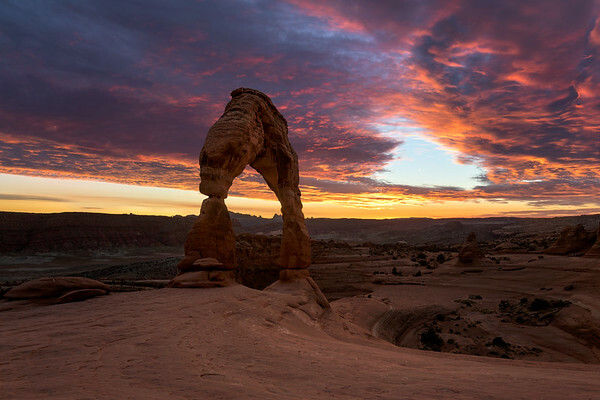 People come from all over to see these parks, making Moab a very popular tourist destination. That is a part of the reason why we came so late in the year, to avoid the crowds and the heat as well (which we certainly did). Moab is one of my favorite places for photography and it seems we always have good luck with light here, and this trip was no exception. Our first night in Moab after stopping at our favorite Moab Diner for a burger and milkshake, we headed to Delicate Arch. 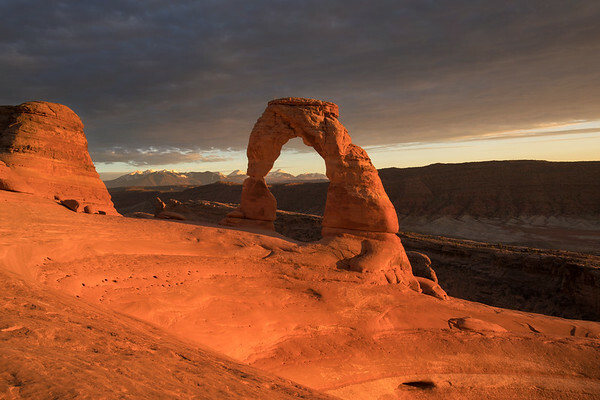 The icon of the American Southwest, Delicate Arch is one of the most recognized landscapes in the entire world. With that, it has been photographed millions of times, creating a unique photo here is almost impossible. Some photographers try to avoid these iconic locations, and while I do prefer to find unique locations, I also enjoy capturing these famous locations. 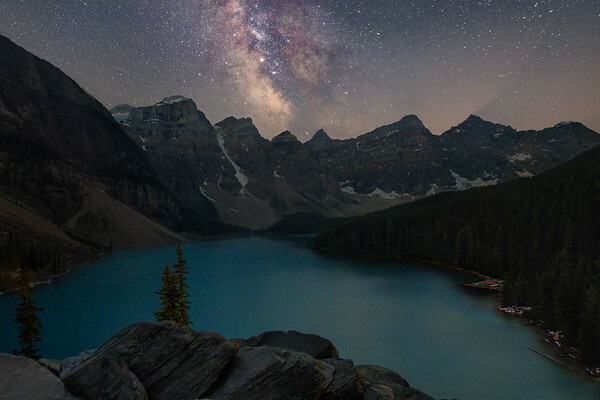 These places are famous for a reason and I love attempting to create a unique photo or one that is better than the hundreds of photos you see online of a place. So even though there might be 50 other photographers photographing the same thing that you are, it’s nice to have an image for yourself of these iconic spots. When we first got to Moab there wasn't a cloud in the sky. Usually this isn't ideal for photography but as we were planning on shooting stars that night, we were excited. Our plan was to photograph the stars at Delicate Arch. We've photographed Delicate Arch before but at that time we were both beginners, especially to astrophotography so our pics didn't turn out well. Now that we know a lot more and have upgraded equipment we were looking forward to taking some much improved photos. Our excitement of taking star pictures quickly faded as once we started hiking, some heavy clouds began to roll in. Soon the whole sky was covered in clouds and I was starting to think that there would be no sunset light let alone the chance to photograph stars. Once we made it up to the arch I became much more optimistic in our search for good light. There were still a lot of clouds in the sky but there was a significant gap in the clouds off to the horizon where the sun was setting. 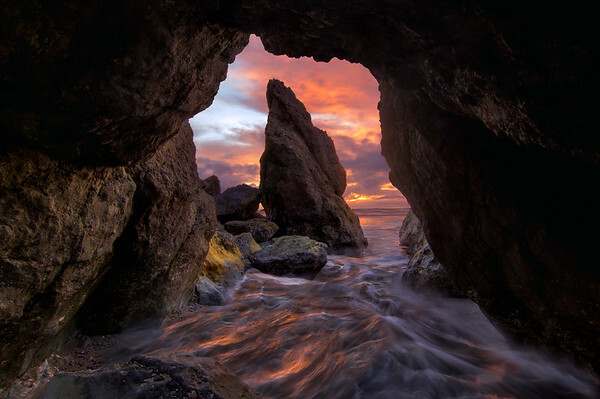 The light was peeking through the clouds with vibrant warm color hitting the arch. The orange rocks with bright sunlight contrasted very well to the dark cool sky. It was a beautiful scene but only got better once the sun fully set. The sky exploded with color. It was one of the best sunsets I've seen and it was incredible to see it in such an amazing and iconic location. It was an amazing memory and I'm happy to capture an image of this popular spot that does it justice. The sky darkened quickly and with the low probability of doing star photography, we began our hike back. Hiking back from Delicate Arch in the dark is always a little tricky. The trail is pretty difficult to follow especially on the slick rock since there are no cairns. Luckily, we had a much easier time navigating than the last time we were here. We only really got off the trail once whereas last time we had to search around for a while to find the trail. After the hike down we were filled with joy from the sunset shoot and headed to dinner. That's one of the best benefits of photography in the winter, the sunsets are early enough that you still have time to get dinner and aren't staying up super late. After we ate we headed to our campsite to get some sleep. The next day after spending some time in Moab eating breakfast and looking for souvenirs we headed to Canyonlands National Park. We arrived in the early afternoon and had some time to kill before sunset so we decided to drive around and look at some of the overlooks. Canyonlands National Park has some of the most incredible views I've ever seen and lots of those views can be seen 50 yards from the parking lot. As amazing as the viewpoints are, lots of these views can be pretty hard to photograph. It's challenging to show the scale of this massive canyon. One of my favorite views in the park is at Shafer Road Viewpoint. 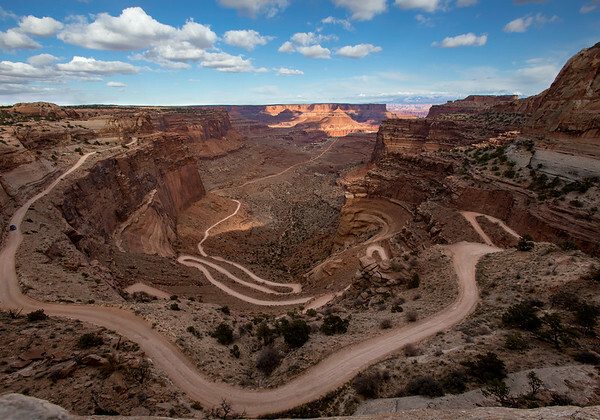 This viewpoint gives you a vantage of the Shafer Canyon Road that winds down the canyon walls. It's a wild road that shows just how steep the canyon walls are. It's challenging to get all of the road in the shot, you need a super wide angle lens. We also visited viewpoints like the Green River Overlook. We were looking directly into the sun so I didn't even bother trying to photograph it, but the view there was truly spectacular. After spending some time in the park we headed to our sunset location at Dead Horse Point State Park. 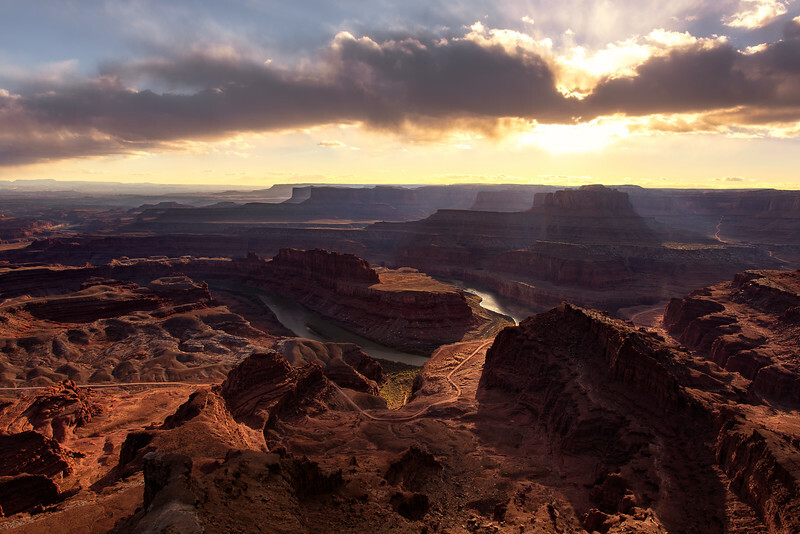 The view at Dead Horse Point is one of my favorite views anywhere. It's been a while since I've been to the Grand Canyon but I still believe that the view at Dead Horse Point is better than anything you'll see at the Grand Canyon, with a lot less people around. This is the second time I've visited this park. The first time we photographed sunrise while this time we were there for sunset. I definitely think that it's a better sunrise spot than sunset. During sunrise the sun rises and the light shines deep into the canyon while at sunset you're shooting directly into the sun which washes out the areas deep in the canyon. That being said it's still a spectacular spot and can be a beautiful photograph any time of day. When we arrived the light was looking pretty nice. There was one heavy cloud above the horizon blocking the sun. When the sun started to poke through it created some beautiful light rays above in the clouds and below into the canyon. It was pretty spectacular to see but challenging to photograph. The dynamic range was crazy high with the sunlight being so bright and the canyon being so dark. It was a challenging photograph to take and edit but I'm happy with how it turned out. As the sun began to set the clouds began to fade. We wanted to wait until the sun finally set under the horizon. The longer we waited the colder it became. The wind picked up, making the cold weather even more miserable. We began to move around while we waited to try and keep warm, but it had little effect. As soon as the sun dipped below the horizon we headed back to the car to warm up and head out for the night. We went back into Moab to catch some dinner and warm up before we headed off to sleep in our cold tent. I definitely underestimated how cold it would get in Moab this time of year. Usually we go there in October which seems to be the sweet spot. It isn’t as hot as the middle of the summer, and this trip in early November was a bit too cold. The final spot we visited on our trip was another iconic photography spot, Mesa Arch. 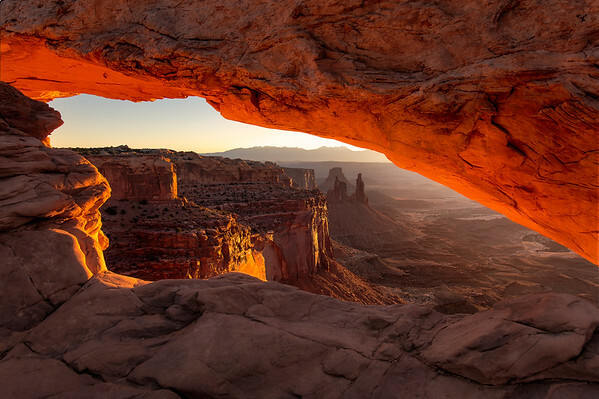 Mesa Arch is a beautiful small arch sitting on the edge of a cliff on a short hike in Canyonlands National Park. It’s a beautiful arch that acts as a frame for the beautiful canyon vista below, rock spires, a 500 foot cliff drop, and the La Sal Mountains off in the distance. 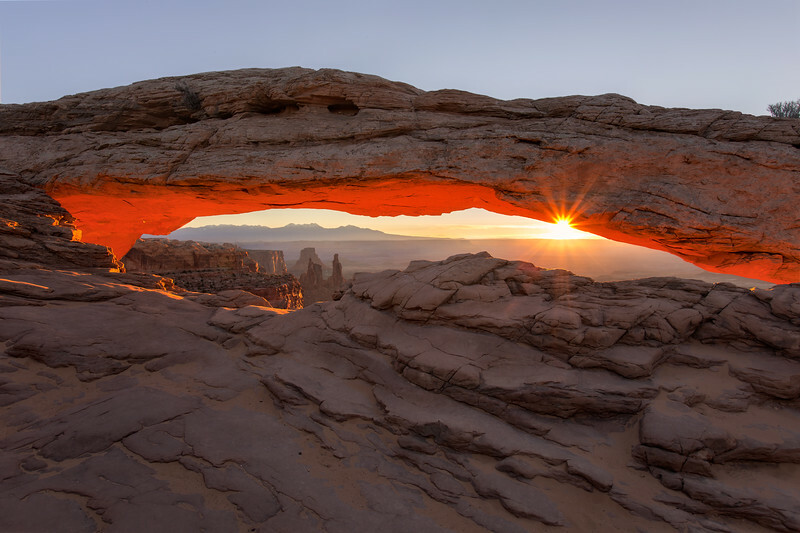 When the sun rises to the east, the sunlight illuminates the underside of the arch and creates a bright orange light on the arch. 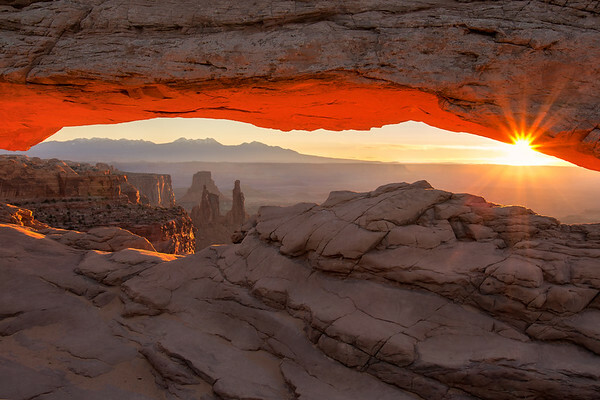 Because of this, Mesa Arch has become one of the most popular photography destinations in the United States. It has become very busy, especially at sunrise so Katie and I knew that we had to arrive well before sunrise to get a spot. We arrived at the trailhead about an hour before sunrise. We braced for the cold and headed on the trail toward the arch. When we got there we saw that there was already three photographers there set up with their tripods. We set up next to them and waited slowly for the sun to rise. 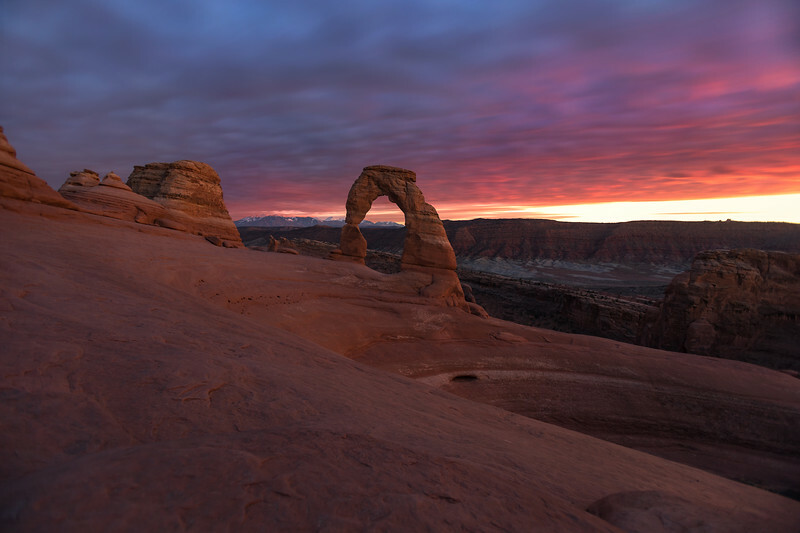 Like Delicate Arch, we have been to this location before, but as inexperienced photographers. Last time we were here Katie didn’t have a tripod and my photos were all overexposed so we were excited to finally be able to capture this arch the way we intended to. Once the sun began to rise, I photographed the light hitting the arch and captured a sun star as the sun was peeking between the arch and the horizon. After capturing the iconic photo of the arch, I walked around looking for different compositions. The only one that I could find that I liked was off to the right. I found a composition of the arch that had a tighter crop and really condensed the arch and the canyon below. It was nice to be able to come up with a unique image that I didn’t find last time I was here and to get an image of the arch without blown out highlights. Mesa Arch is a great sunrise location for photography and a great spot to end our trip. This was the third time we’ve gone to photograph Moab, Utah, and each time has resulted in better and better photographs. While we didn’t really photograph any new locations, I was able to capture a bunch of really good photographs of iconic locations that I’ve been looking to capture for a while. 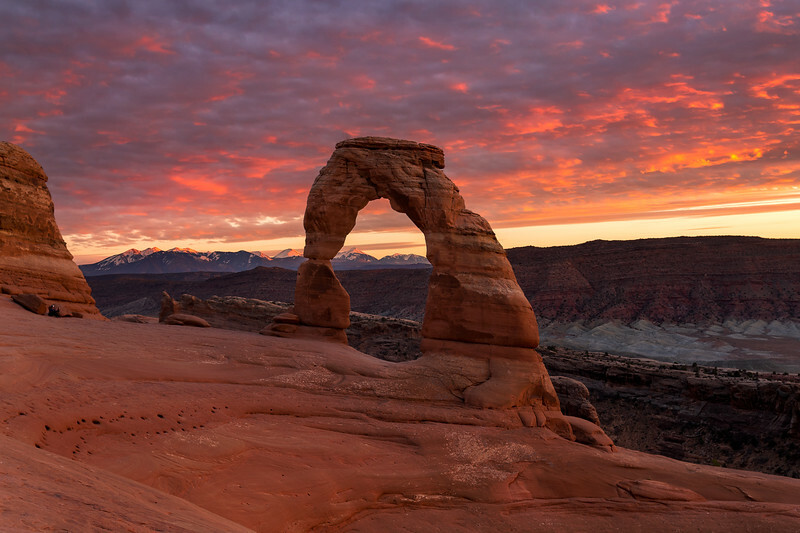 Delicate Arch, Dead Horse Point, and Mesa Arch are all amazing locations and photography destinations which makes it feel good to have images of these places that I’m actually proud of. They might not be the most unique and incredible photos of Moab, but I’m happy with how they turned out and we had an amazing time shooting these spots. I can’t wait until the next time we are back in Moab creating all new photographs.